Prof. Azaria Rein, head of Pediatric Cardiology at the Hadassah Medical Center, along with a team of pediatric specialists, saved the life of a newborn baby suffering from a severe heart blockage, by stabilizing her pulse with a temporary pacemaker immediately after delivery. 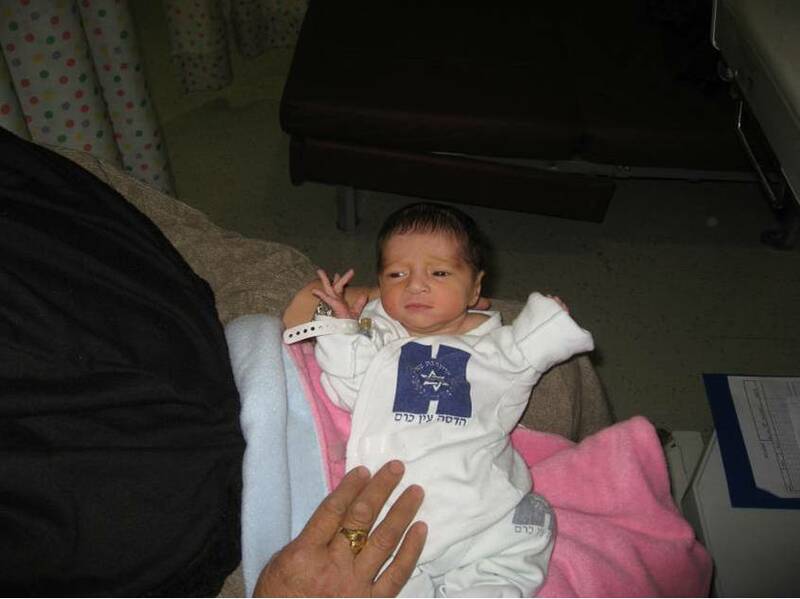 The baby’s mother is a 28-year-old woman from Hebron who suffers from Lupus and has no other children. A friend of hers who is a gynecologist at Hadassah told Prof. Rein about her, noting that she thought the fetus had a cardiac problem. Prof. Rein, world-renowned specialist in diagnosing heart problems in fetuses, arranged for the woman to be hospitalized in Hadassah Hospital-Ein Kerem, where he diagnosed a major heart blockage in the fetus. With a pulse of 45 beats per minute, instead of 150 which is normal, the baby would not survive. Unfortunately, it was too late in the pregnancy to reverse the heart’s life-threatening rhythm. Consequently, immediately after delivering the little girl, Prof. Rein, along with Pediatric Cardiologists Dr. Zeev Perles and Dr. Julius Golender, together with Dr. Jacques Braun of Hadassah’s Pediatric Intensive Care Unit, attached a temporary external heart pacemaker to her chest to stabilize her pulse. The day after delivery, Pediatric Surgeon Dr. Eli Milgalter and Hadassah Heart Institute Director of Electrophysiology Prof. Shimon Rosenheck implanted a regular pacemaker. Nine days after she was born, the baby was ready to go home!